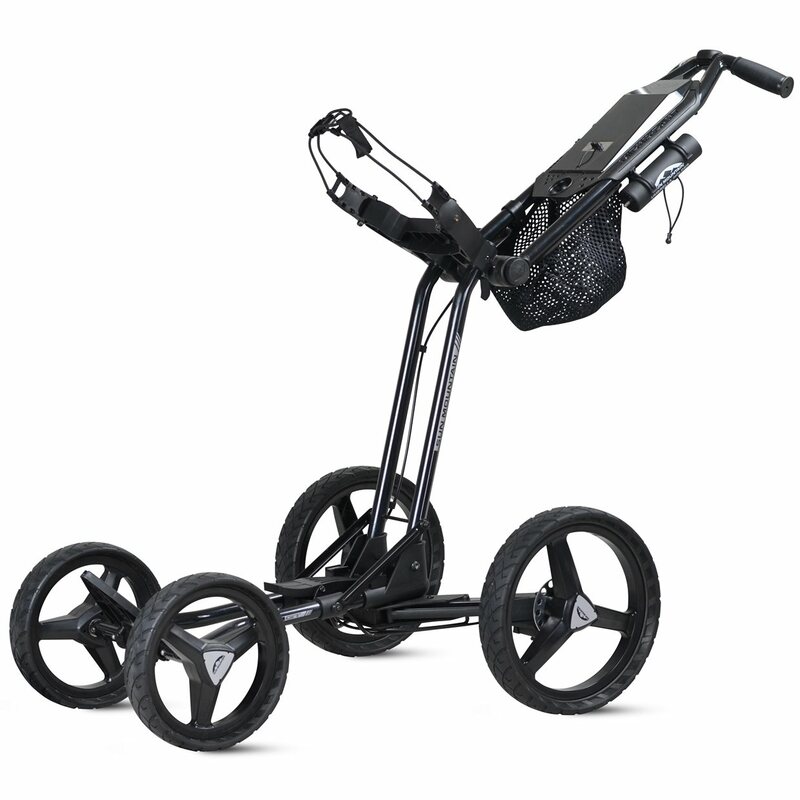 The Sun Mountain Micro-Cart GT offers numerous improvements that include a self-locking lower latch, a drink holder, a mesh basket and a new upper latch that makes adjusting your handle height even easier. The updated upper bag bracket accommodates stand bags and includes bungee cords for securing the bag. 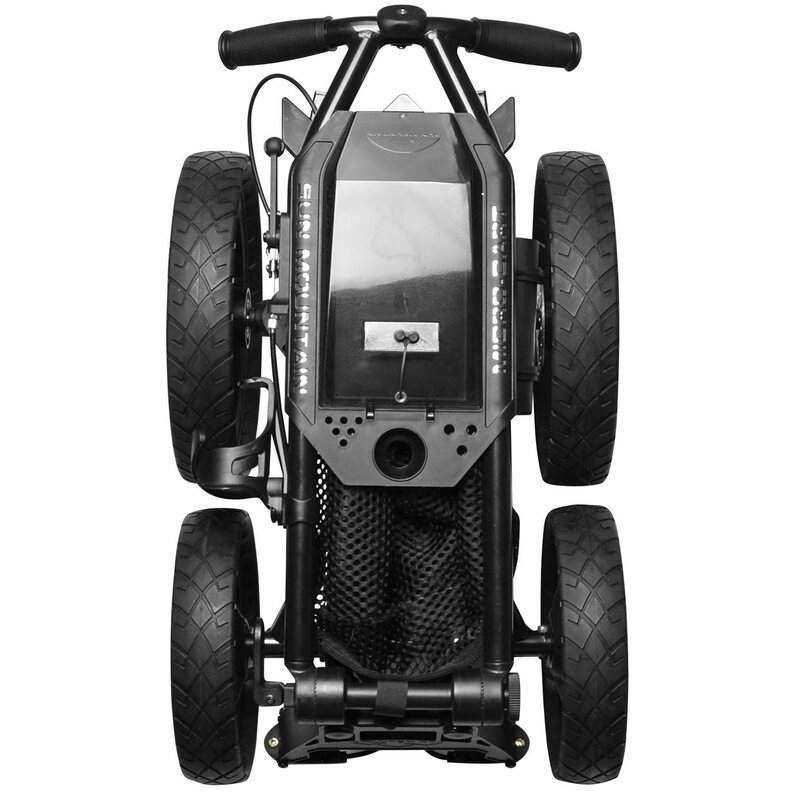 The cart features an extendable front axle that expands the front wheels for accommodating larger bags. It also features an accessory console that includes a padded valuables tray, score card holder, tee holder and ball and pencil holders. 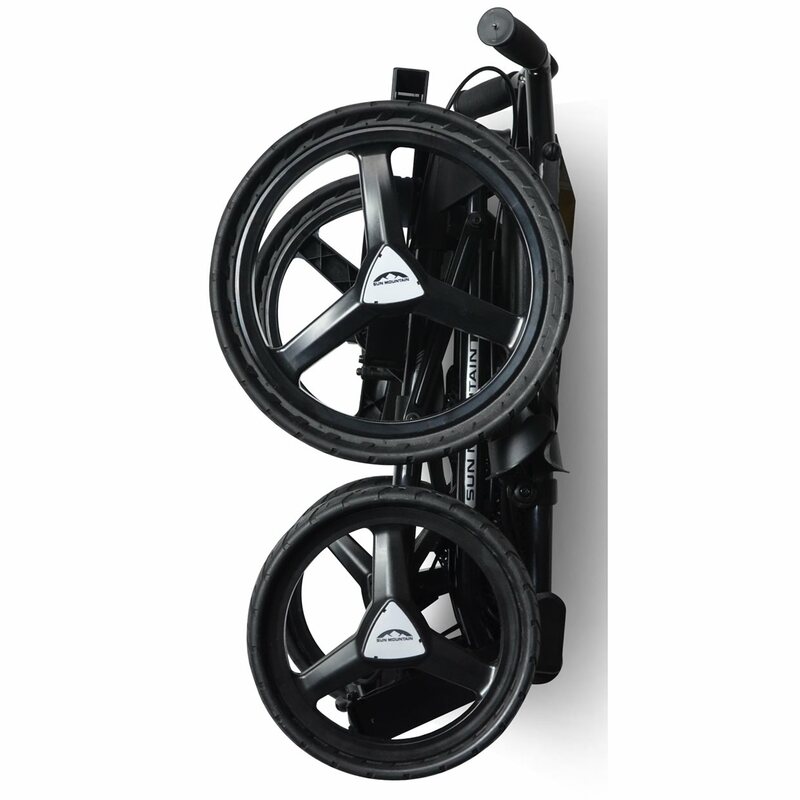 The cart can be folded in two simple steps, which provides easy transfer and storage.